What is it about entering small retailers that makes us a little uneasy? Perhaps I should rephrase: what is it about exiting small retailers empty-handed that makes us feel dreadfully uncomfortable and apologetic? Why does this discomfort sometimes turn us off even entering small shops and boutiques in the first place? Perhaps we feel that the owner or staff member who we may have struck up a great conversation with will be annoyed or disappointed, or feel that we are time wasters. Perhaps we feel that they will be personally offended, that we didn’t like their merchandise or their suggestions. Perhaps some of us aren’t even leaving empty handed, instead leaving with something we don’t really want but we felt guilty and that we must buy something… anything! It’s funny really, we wouldn’t ever feel that we had to buy something in a large department store, just because a sales assistant greeted us with a smile. I would like to set the record straight once and for all, and I really hope that all shoppers will take note of this. Small retailers and boutique owners are not personally insulted if a customer leaves without buying something. Of course, it is great to make sales and to have customers leave happy with their purchases, that is the nature of the business after all. However, it is more important to welcome customers into an environment which is friendly and comfortable without being suffocating or pressurised. The last thing any retail worker would like to be described as is ‘pushy’ – believe me! There are countless small retailers and boutiques in Galway City and county that I have no doubt would love to welcome new and returning customers into their stores, so please don’t be hesitant, we don’t bite! We want you to come and browse, and we want you to feel comfortable doing so. 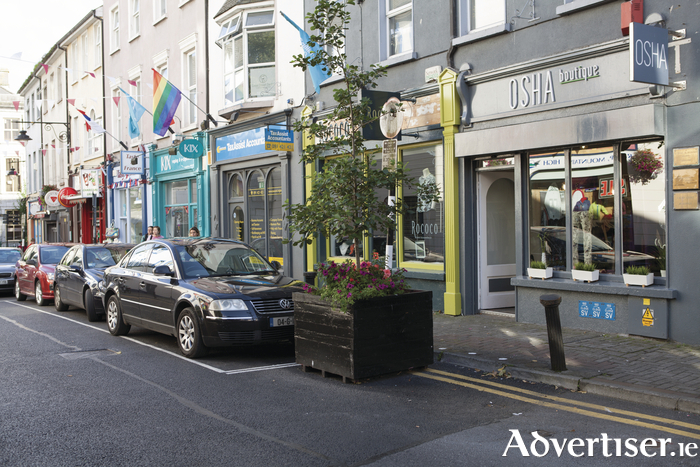 Remember, when you shop locally in a small retailer you are helping to build the community and maintain a vibrant town centre like the one we are so proud of in Galway City. When you make purchases from a family owned business you are helping to pay for a little girl to get swimming lessons, a little boy to get his new football boots and a couple to pay a mortgage. So take advantage of the wares the local and small businesses have to offer, and help your local community continue to prosper! How fast should I lose the baby weight?